Thicken fragile eye & lip skin for the win. Eyes and lips (the first facial features to thin and show your age) get extra va-va-volume from Hyaluronic Acid, boosted to the 6th power to fill lines and wrinkles and restore lost density to skin. · Features a patented blend of six different sizes of Hyaluronic Acid molecules that travel to different layers of the skin to fill lines and wrinkles and replenish lost Hyaluronic Acid (what gives skin its plumpness). Apply once a day to the lip and eye area. Put directly on the lips for gradual plumping. 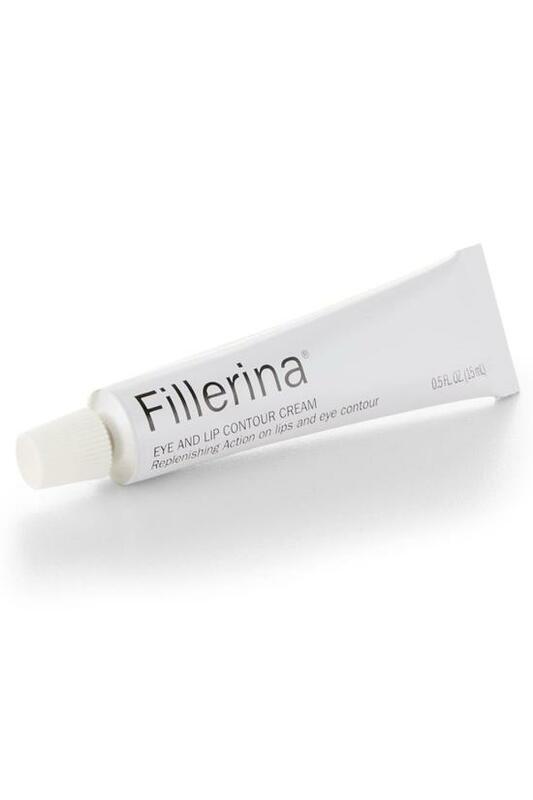 Apply completely around eye area including eyelid. Aqua, Ethylhexyl Stearate, Glycerin, Butyrospermum Parkii Butter, Steareth-2, Steareth-21, HDI/Trimethylol Hexyllactone Crosspolymer, Cetyl Alcohol, Oryza Sativa Bran Oil, Prunus Amygdalus Dulcis Oil, Dimethicone, Phenoxyethanol, Imidazolidinyl Urea, Ethylhexylglycerin, Polyacrylamide, Tocopheryl Acetate, Sodium Hyaluronate, C13-14 Isoparaffin, Propylene Glycol, Xanthan Gum, Hydrolyzed Glycosaminoglycans, Parfum, Methylparaben, Ethylparaben, Laureth 7, Disodium EDTA, Silica, Butylparaben, Propylparaben, Cyathea Cumingii Leaf Extract, Butylene Glycol, Pseudoalteromonas Ferment Extract, Biosaccharide Gum-4, Limonene, Sodium Hyaluronate Crosspolymer, Linalool, Hydrolyzed Hyaluronic Acid, Hexyl Cinnamal, Hyaluronic Acid, Butylphenyl Methylpropional, Hydroxypropyl Cyclodextrin, Geraniol, Hydrolyzed Sodium Hyaluronate, Citronellol, Pentylene Glycol, Coumarin, Citral, Caprylyl Glycol, Arginine, Salicylic Acid, Sodium Hydroxide, Acetyl Hexapeptide-30, Palmitoyl Tripeptide-38, Acetyl Hexapeptide-37. 6 Hyaluronic Molecules, Almond Oil, Matrifull, Rice Oil, Hexapeptides, Shea Butter.